Three vintage Spitfires, belonging to American collectors, are flown for some of the key aerial sequences. And a Russian Yak, masquerading as a Spitfire, was rigged with dual wing and cockpit-mounted cameras to capture clear airborne imagery. Home » Aviation Articles » History of General Aviation » Do the Pilots of Dunkirk Defy the Laws of Physics? These ominous words are the simple warning printed on paper leaflets fluttering gently from the sky, and into the hands of an isolated band of young foot soldiers, boys really, as they stumble through the eerie quiet streets of a town called Dunkirk. In an instant, the invisible threat transforms into an ambush of lethal reality. A lone survivor makes the run of his life for the beach. On the shore, a massive amphibious evacuation is underway. 400,000 other desperate soldiers, all sitting ducks for the Nazi’s stranglehold, wait for help before time runs out as the geographic noose tightens. From that moment on, it’s as if you’ve parachuted right into the action. The theater walls quake from the roar of artillery and the snap of bullets ricochet past your ears. Dunkirk is a nail-biter suspense movie cloaked as a historical war film. The soundtrack is an assault on the senses, and the tension never lets up to let you catch your breath, not for a second. To that end – and to lauded director Christopher Nolan’s intention – it works. Against our inherent preference for neat storytelling, Dunkirk requires you pay attention to the moment. There is no history in the film, there may well be no future for the marooned platoons stretched out endlessly across the beach. Dunkirk is set in the immediate now. Nolan has created a demanding visual triptych. Blink at the outset, and you risk confusion following the film’s unusual structure of three concurrent story lines, each at play on a different timeline. The first thread tells the story of the soldier’s trapped on the shores of Dunkirk, France, and its half-mile long rescue pier, over the span of one week. Safety – England – lies ironically only 26 miles across the English Channel. So close the 400,000 stranded soldiers can almost see her. But only a miracle can save them, and that miracle arrives as the second storyline – called the sea. It spans a single day, showcasing the heroic ‘little ships’, the armada of civilian mariners that came to the rescue when the few large ships the British Navy could spare were either too deep-drafted to reach the shallows, or already on fire and sinking from Germany’s relentless attacks. But if you’re a pilot or an armchair aviator, it’s the third thread of the braided script – the airborne action – that will hook your attention as the story of two fighter pilots plays out, not over one week, or one day, but a single hour. When I was a wide-eyed teenager of 17, learning to fly in a canopy-cockpit Grumman TR-2, gussied up in military livery, the walls of my bedroom were adorned with airplane art. Paper posters of beautiful, mysterious airplanes, perhaps none more alluring than the British Spitfire. With exotic elliptical wings, its signature silhouette inspired awe in the heart of a young pilot. And it is the Supermarine Spitfire that is at the heart of Dunkirk’s tour de force aerial sequences. Set your expectations high, this is not your standard issue CGI buzzing flies animation served up. For many scenes, cinematographer Hoyte Van Hoytema shot real film footage, of real aircraft…really flying! Photo: the Yakovlev Yak-52TW camera plane, photo used with permission of Richard Davies. 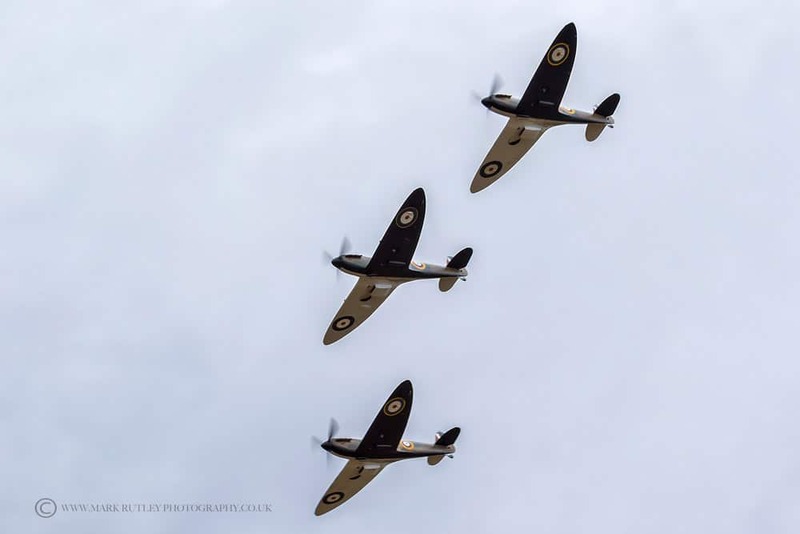 Three vintage Spitfires, belonging to American collectors, are flown for some of the key aerial sequences. A Russian Yak, masquerading as a Spitfire, was rigged with dual wing and cockpit-mounted cameras to capture clear airborne imagery and came equipped with two cockpits, one for the production pilot, and one for the actor. British actor Tom Hardy plays the lead pilot, and his performance, like those of his cast mates, is subtle but compelling. Hardy is on the short-list of rumored contenders to take over the role of 007 in a future James Bond franchise and possesses a photogenic face regaled by photographers for its full lips and evocative eyes. But if you feel like you’ve never gotten a clear look at the British star, that’s because his face is often obscured. Photo: Tom Hardy in Dunkirk, photo courtesy of Syncopy / Warner Bros.
It’s now become something of a running joke as this is Hardy’s third film in five years (Max Max: Fury Road; and the villain Bane in Batman the Dark Knight) where he’s covered by a mask. Even opposite Leonardo Dicaprio in The Revenant, where Hardy nabbed an Academy Award nomination for Best Supporting Actor, he’s concealed by a mangy beard. In Dunkirk, his character’s face is again hidden, this time by flying goggles and an oxygen mask. Yet, it’s Hardy who steals the show. No small feat for an actor forced to emote mainly through his eyes, while limited physically by the tight confines of the Spitfire cockpit. As the Luftwaffe prowls the skies, stranded soldiers and stationary boats are easy pickings. 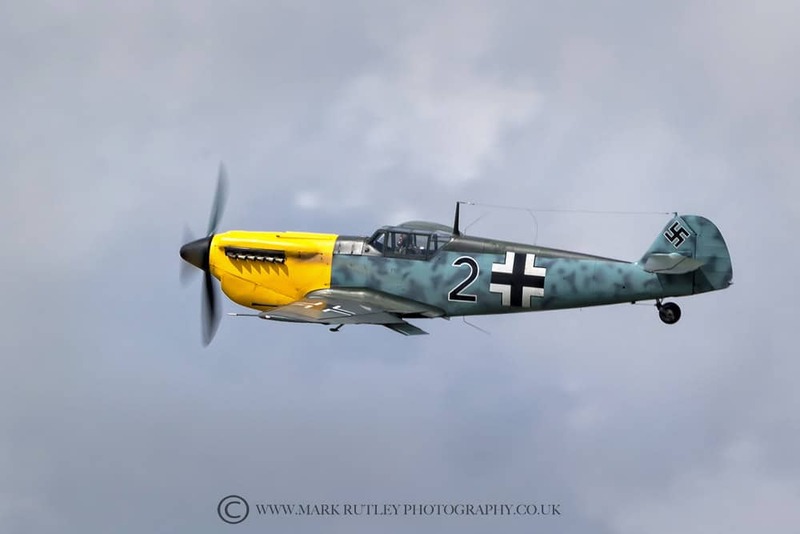 Hardy and his wingman (actor Jack Lowden) dogfight with German Messerschmitt Bf 109’s, and chase down Stuka dive bombers, providing urgently needed air cover for the rescue ships. Dunkirk doesn’t have the scope to fully give the Spitfire its due, but the evacuation was the airplane’s first big battle, and dozens of German aircraft were either shot down or heavily damaged over the week of intense fighting. The tension escalates quickly inside Hardy’s cockpit, as concerns over fuel become a priority. There was an old saying among veteran pilots that “the Mustang couldn’t do what a Spitfire could do, but it could do it over Berlin” – meaning that the early model Spitfire wasn’t known for its range. 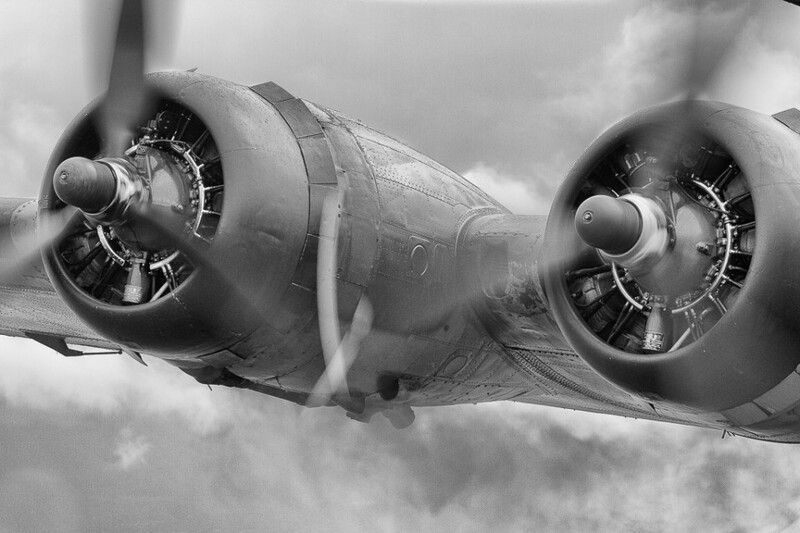 The aerial scenes are filmed, much like the British fighter pilots behind the controls, with an understated eloquence. And you realize what precious little technology pilots had to work with 77 years ago, without the aid of electronics and missile lock. The majority of Dunkirk was shot on location in France, along with aerial scenes over the Channel. A gimbal-mounted replica Spitfire cockpit, installed on a coastal California cliff, was used to capture close-up images of the actor pilots as ground crews pitched, yawed, and rolled the device. The director’s effort at recreating realistic and almost poetic aerial sequences pays off, and we, the audience, are rewarded. Although in Dunkirk, it’s not always obvious which thread of the script we’re supposed to be following. Part of that seems an intentional ploy on Nolan’s part, to showcase the chaos of war. As time melds, the camera cuts from story to story, underscoring the sensation of a retreat without end. We share in the soldier’s and sailor’s despair at the whims of a faceless enemy, the sour weather, the powerful tides, and of fate itself. If you’ve ever watched Nolan’s dream-within-a-dream Inception and were intrigued by the film’s famously complicated script, you probably watched it twice. Inception reigns as a complex mind-bending movie that almost demands a second look, if for no better argument than to bolster your position on its controversial ending. To enhance that mood of frenzied intensity, Nolan recorded the sounds of his own pocket watch and had the relentless ticking synthesized very effectively into the film. Hans Zimmer’s music is itself a major character, a dramatic symphony of sound so compelling that even a children’s tea party set to his score could grab an audience by the throat. Part of that is due to Zimmer’s clever use of an audio trick known as the Shepard scale. A musical phenomenon, the Shepard scale creates an auditory illusion, a never-ending barber pole of corkscrewing scales, fooling the ear into hearing tones that crescendo but never crest, and sound manipulations that ultimately seem to move no higher or lower in scale. What that does to the brain is ratchet up both the listener’s heart rate, and sense of urgency. And if you miss the film’s early cue, like I did, that the airborne portion consists of only a single hour, you might wonder, as did our entire theater row, how is Hardy’s character, so low on fuel, still flying? In the penultimate scene, it’s his Spitfire fighter pilot versus one Luftwaffe tail gunner and it is an exquisite aerial battle pas de deux. But how does the pilot defy the laws of physics, aerodynamics, and Newton’s first law of inertia by continuing to dogfight long after his reserves have run dry? Worry not. Now that you’ve been tipped off to Nolan’s slightly serpentine timeline, it will all make perhaps not perfect sense, but you’ll get the picture. How Does Dunkirk Stack Up? So where does Dunkirk fall in the pantheon of military battle films? What matters in a war movie is not pinpoint accuracy – history books exist for that. Film is a visual medium used at its best to convey emotion. To transport an audience to another time, another place, a new experience. On that level, Dunkirk succeeds. For comparison at the other end of the spectrum, I feel obliged to point out the ridiculous clunker that is Michael Bay’s Pearl Harbor, albeit a money-maker with a likable cast. When my stepfather was 17, he too was surrounded by images of fighter planes, but not from the comfort of his bedroom walls. He served at Pearl on the USS Ward, the first ship to fire the first American shot of WWII, on the morning of December 7, 1941. So maybe my dismissal of Pearl Harbor is personal, but I’m pretty sure it’s because it’s a silly movie wrapped around truly significant events. Compared to the more visceral and character-driven Platoon or Saving Private Ryan, bloodless Dunkirk might appear too clean, like its PG-13 rating. Or going back in time to a classic such as Midway, Dunkirk comes up short in terms of historical context and detail. But recalling Pearl Harbor puts Dunkirk in perspective: it’s not the greatest war movie ever made, but it is a virtuoso that commands respect. With no explicit gore or blood and guts scenes, it’s suitable for young teens. But then again, since it’s teens who are recruited to fight old men’s wars, maybe a little more realism could have vaulted Nolan’s Dunkirk from very good to singularly great. And to become the cautionary tale of war each new generation must find to claim as its own. Make no mistake, Dunkirk is worthy of your time. I’ve watched it twice and still plan to see it again. To be immersed in the experience, try to see it on the biggest – hopefully 70mm or IMAX – screen possible. Shot entirely on large-format film, this is a movie that to be fully appreciated demands a big screen. The Battle of Dunkirk was a barely averted catastrophe that became a victory in the eyes of history. If the evacuation had failed, the outcome of WWII could have a taken a tragic turn, perhaps delivering a blow to the very freedoms that we today take for granted. The three braided story threads in the film each arrive at their own separate conclusion. And in signature Nolan style, all at the same time. But the strand finale that’s remained with me, without giving too much away, is the climactic image of the Spitfire, and of its pilot, Tom Hardy. Not only a magnificent flying machine but with just a single minute left before the credits roll, that damned obscuring oxygen mask finally comes off. And we glimpse the true spirit of Dunkirk in the face of a man defeated, but a pilot triumphant. Kathleen Bangs is an on-air aviation analyst, former commercial airline pilot, and 2005 overall winner of the International Aerospace Journalist of the Year Award. She has over 10,000 flight hours, and a fondness for the Reverse Cuban 8. “What matters in a war movie is not pinpoint accuracy – history books exist for that.” Are you kidding me? Ever heard of ‘A picture is worth a thousand words’? Especially today, not only do people rarely read anything anymore, people hardly EVER read about something as specific as WWII aviation – they rely on what they see. The problems I had were the excessively lengthy time it took the pilots to pull the trigger once on their enemy’s ‘six’. The gliding back and forth with an engine out, seemingly soaring for several minutes. And no, he didn’t have anywhere enough energy to do so… he didn’t even feather the prop. Lastly the closure rate of the bomber flying overhead of the Spit’. The German bomber passed over the Spitfire at Blimp speeds. It would have AT LEAST been 200 knots, at least. I initially thought the same thing, until research on the early model Spitfire’s armament capabilities revealed that the fighter had only a mere 16 seconds total of firing time. That may explain why the pilot in ‘Dunkirk’ was so careful to be lined up on his target before firing the guns.